On June 18, 2018, Pres. Donald Trump announced he was directing the Pentagon to develop a new branch of the U.S. military, a “Space Force” that would give the United States “dominance” in that realm. It would be, he said — and here he used a classic phrase from the Jim Crow era of racial segregation — “separate but equal” to the U.S. Air Force. Much of the rest of his announcement sounded like it came directly out of a Star Trek episode. “My administration is reclaiming America’s heritage as the world’s greatest space-faring nation. The essence of the American character is to explore new horizons and to tame new frontiers … ” And like Jean-Luc Picard captaining the USS Enterprise, he promptly, if redundantly, ordered the “Department of Defense and Pentagon” to make it so. Nor was it greeted with universal enthusiasm in either Washington or the U.S. military, to put it mildly. Secretary of Defense James Mattis, who had written a letter to Congress in July 2017 opposing an earlier, less ambitious version of the plan, had little choice but to go along with the new scheme. If, however, the skeptics have their doubts, one thing is clear. Trump loves the idea of boldly going where no president has gone before in the same way a child might cherish his favorite toy. And his interest in such a force was evidently piqued in part by his fascination with model spacecraft he was shown by Pence during a March 2018 White House briefing. Practical or not, the Space Force concept meets Trump’s two biggest needs. Stroking his own ego and pumping up his political base. Calling for “space dominance” via a nifty new force makes for another great get-tough slogan for the president, not to mention a good distraction from his earthly troubles. He first used the term publicly in an address at Miramar Air Base in San Diego in March 2018 and it is now a standard part of his stump speech, as are cries of “Space Force! Space Force!” from adoring crowds at his rallies. Rogers, who has received hundreds of thousands of dollars in contributions from defense contractors, has relentlessly pressed Trump to make space a separate armed service. His allies in the administration include Pence, a long-time space enthusiast, and Undersecretary of Defense Patrick Shanahan, a former Boeing executive who presided over that company’s missile defense division. Among the projects Shanahan oversaw was the disastrous Airborne Laser system, a laser mounted on a Boeing 747 aircraft that was supposed to be able to zap missiles in flight but failed miserably, while chewing up $5 billion worth of taxpayer funds. A future Space Force could waste money on a scale that would make the billions squandered on that Airborne Laser look like chump change. Initial set-up costs over the next few years have been estimated to be at least $8 billion. But once space is fully established as a separate service the price tag could go far higher over time. In “Space Force: Spending At Warp Speed,” the watchdog group Taxpayers for Common Sense suggests that — worst case scenario — it could, in the long term, cost as much as $190 billion annually “to establish a new military service and the enormous bureaucracy of a new department.” Even by Pentagon standards, that’s a massive sum. Will there be enough spoils to go around? In other words, will Space Force funding come at the expense of the Air Force and the other services or will it be a staggering add-on to the Pentagon budget, pushing it even further into the stratosphere? While Rogers, Shanahan and other figures with ties to military space contractors have been pressing for the Space Force, the Air Force lobby has been pushing back. No surprise there, since that service has always wanted to control the military’s space funding and fears that a rival service would compete for, and perhaps capture, some of “its” funds. Coffman and Knight are hardly alone. Last year, Ohio congressman Mike Turner, a proponent of all things nuclear whose Dayton-area district includes Wright Patterson, the Air Force’s largest domestic air base, led an effort to block legislation sponsored by Rogers to create a Space Corps, a more modest version of the Space Force idea that would have been embedded in the Air Force, much as the Marines are still officially embedded in the Navy. Turner, who votes with the Trump administration 94 percent of the time, has now derided the Space Force idea and claims support from Air Force Secretary Heather Wilson as well as Secretary of Defense Mattis. Whether opposition within the military will continue in a sub rosa fashion now that the president has put his stamp of approval on the force — or even if Mattis will be around much longer — remains to be seen. According to an internal Air Force memo leaked to the publication Defense One, Wilson’s vision of “the right way” involves keeping as many military space functions in the Air Force as possible in order to reduce the size and clout of the proposed force. Meanwhile, Wilson has just released a plan calling for an increase by 2030 in the number of squadrons — composed of planes of all types, including surveillance and refueling aircraft, fighters and bombers — of nearly 25 percent. Center for Strategic and International Studies budget expert Todd Harrison estimates that the additional operating costs for such an expanded fleet, including added personnel, would total roughly $18 billion annually. Absent another huge hike in the Pentagon budget, such spending would certainly compete for resources with the new Space Force. The fight over that force poses a dilemma for some major contractors as well. Take Lockheed Martin. Its fighter jet, the F-35, slated to be the most expensive weapons system in history, will absorb more than $400 billion in research, development, and procurement funds through the mid-2030s. It’s Lockheed’s biggest program and a core element in the Air Force budget. Nonetheless, the company is also heavily involved in developing military satellites and missile defense programs, two areas that might get far more money in the Space Force era if a determined new bureaucracy is embedded in the military and advocating for them. Lockheed Martin’s executives are, of course, all for more spending on military space programs — unless that funding were to come at the expense of the F-35. The solution to such a conundrum would assumedly be radically higher Pentagon spending. And count on one thing. The company and its cohorts will be lobbying in earnest for just that in the run-up to the 2020 presidential elections. As it happens, the Trump administration and Congress have already increased Pentagon and related spending to a near-record $716 billion. More increases to fund the Space Force and other new initiatives could prove a tough sell in a country whose basic infrastructure is rotting out. Trump’s enthusiasm for the Space Force and the militarization of space has already given new life to spectacularly bad ideas shelved years ago. A case in point. The claim of Pentagon Undersecretary for Research and Engineering Michael Griffin that it would be “relatively easy” and affordable, at least by Pentagon standards, to construct space-based interceptors that could shoot down nuclear-armed ballistic missiles in their “boost phase” — that is, shortly after launching. Putting such weaponry in space could, of course, lead other powers — think Russia and China — to assume that their satellite systems were at risk and so spark a new Cold War-style arms race in space that would not only cost a fortune, but increase the odds of hair-trigger systems prone to mistakes launching a war there. 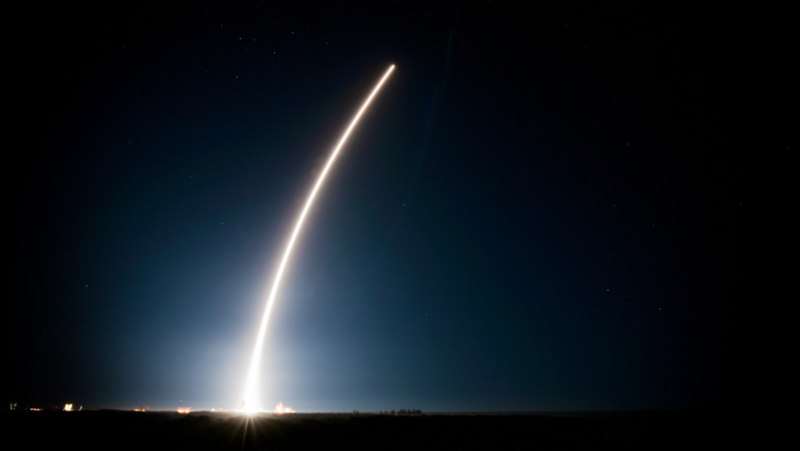 Military and communications satellites, like those crucial to U.S. military operations across the planet and those the global economy couldn’t do without, would be uniquely vulnerable in such a situation. Pushing the idea of a Space Force to please his own ego and his supporters, as President Trump seems intent on doing while currying favor with one slice of the military-industrial complex, is likely to prove an extremely costly error. Worse yet, the further militarization of space risks the future of the planet itself. 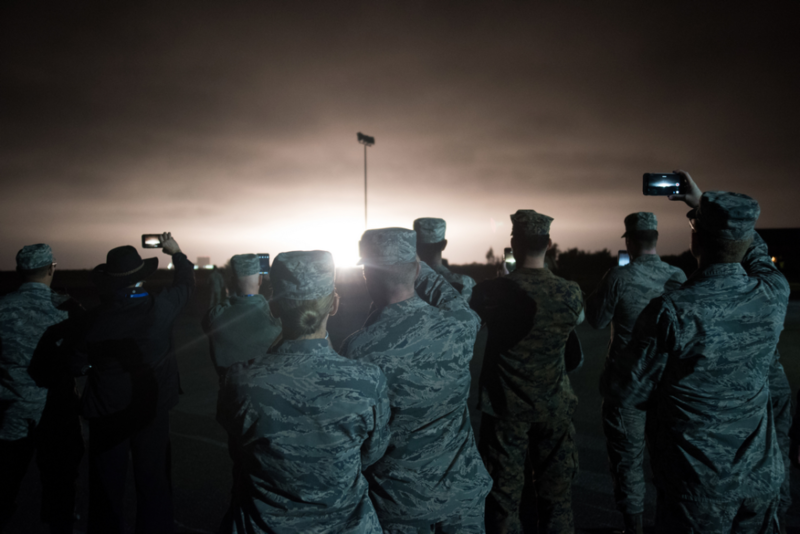 Whether done within or outside the Air Force, as a Space Corps or a Space Force, putting missile interceptors or satellite weapons in space will undermine what remains of Cold War era arms control programs and so make both conventional and nuclear war more likely. To go boldly into such a project is potentially folly of the ultimate sort. Of course, it’s possible that, as with his wall on the U.S.-Mexico border, Donald Trump will continue to brag about “his” Space Force, while Congress simply refuses to fund it. Yes, the Trump 2020 campaign will go right on carrying out its brazen yet comical contest for picking the best logo for the force — to be displayed MAGA-style on mugs, T-shirts, hats, and other campaign trinkets. The Space Force would then exist in the same sense that Star Trek exists, as a harmless cultural phenomenon that resonates with a certain segment of the populace. Instead of wasting money on research and development, perhaps the newest round of ideas for weaponizing space will simply be rejected from the outset. It’s possible that a new Congress, taking office in January 2019 and far less in thrall to Trump, might end up holding the line on the development of space-based weaponry, leaving the president’s Space Force on hats, pins and t-shirts but not in a future Pentagon budget. With the military-industrial complex divided against itself on the issue, it’s just possible that the voices of sanity might for once prevail and we could go boldly into the future on this planet without having to keep an eye constantly on the skies.